Events and Venues are always trying to reduce cost and make a marginal profit. The margins are so small that most events struggle to find their way through it, and as a result often end up losing money. There is a reason Sydney Showgrounds' catering is kept in-house. It's the same reason Vector Arena recently stopped outsourcing their catering. Catering companies offer venues large cash incentives and free machinery investment, but more and more venues are now waking up to the fact that nothing is free. Every dollar counts, including money made over the bar from drink and food sales. More importantly fans don’t show up to an event for the music, rugby or event itself - they show up for the experience. 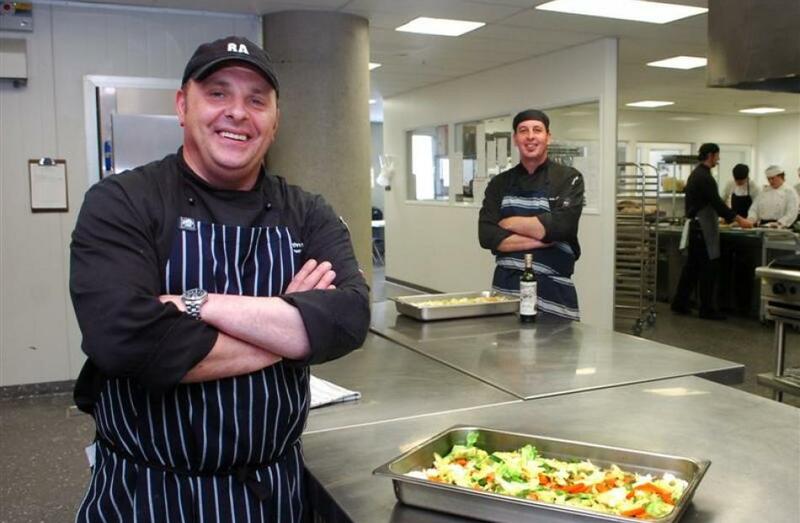 Catering companies make most of their money from the backhanded rebates from food companies. The stadiums outsourced catering sell's a Coca Cola for $6, few people buy it due to the high cost, and then the stadium's catering books show “no money”, but back at the catering company's Head Office Coca Cola just paid a nice fat check for the opportunity to sell its sugar water at the venue. The Catering companies HQ makes a lot of money. The interest of the catering company is not to make the event experience better, it is to increase margins and make more money. It is a conflicting interest with the event organizers and venues. So why do venues outsource their bread and butter to catering companies? The first reason is the incentives, but beyond money, the main reason is that it removes any risk and blame from the venue organizers. When something goes wrong at the event, (long lines and slow service) the event organizer can blame the catering company. So what can event’s do? Bring their catering in-house. It is easier said than done. But if you can find the special someone who has the leadership to make this happen, you will never look back. Get in contact with someone like, Matthew Lazarus-Hall - Owner of Uncommon cord - he has a wealth of strategic knowledge in the entertainment industry. There is a reason almost every Rugby Club in France has a set of reusable cups. 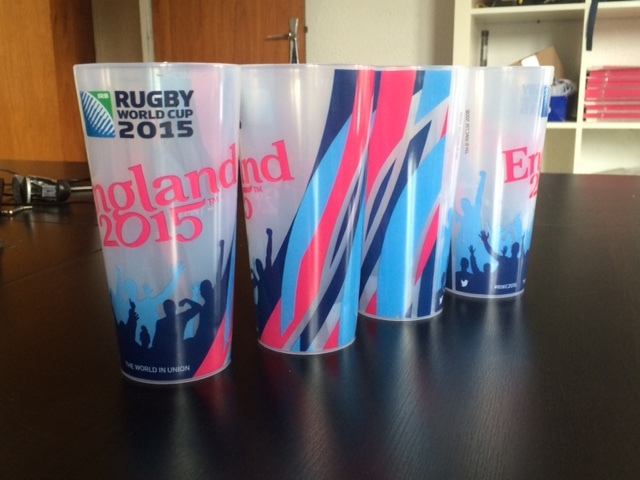 It is the same reason the Rugby World Cup introduced a reusable cup system at the 2015 events in England. And it is the same reason the Rio Olympics had 45 different reusable cup designs that made not just a major impact on waste but increased their beer sales dramatically. Waste management cost are increasing year on year. There is no option for events, but to bow down to $40,000 + waste bills. What is the main reason for the waste? Disposable cups. Disposable Tents. Disposable Food Packaging. Disposable everything. There is a reason San Fran decided to eliminate disposable bottles from the city and it is the same reason France has banned disposable food packaging from 2020 . It is why major sports teams and venues like Twickenham and Stade de France are leading the charge for reusable products in Europe. Reusable products not only reduce waste but increase beer sales, create a souvenir and whole new revenue stream for sports teams and venues. Lets hope more Sports business in New Zealand and Australia open up to the opportunity. Lets face it, we all just want to have a good time. How do you increase cost to an event? Why? Everybody has to comply with Health and Safety. Nobody refutes it. Society abides by the state law as there is no alternative. Health and Safety brings increase paperwork, which brings on extra cost. It is how the Dairy industry saw Fonterra grow and take out all small milk producer. It is how the meat industry created 3 big companies and eliminated the hundreds of small processing plants. In the event industry the big push right now is Alcohol Laws. It is now seeing many events almost go out of business. This includes racing club's, major venues, festivals, and more. The worst part - every region has different restrictions and different ideas about intoxication. Smart events like Toast Martinborough have hired a new events manager who understood all alcohol compliance in-depth. This means more events need to find managers who have a clear understanding of all the laws and build relationships with the authorities. Other event organizers are putting $10,000-$20,000 aside for miscellaneous spending towards health and safety type incidents and their lawyers fees. Should we ban plastic plates, cups, and utensils like France?